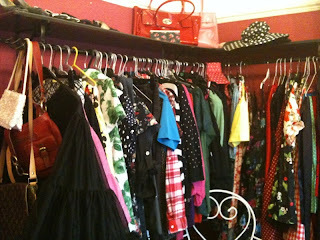 Ive long harboured a fantasy about having a Carrie Bradshaw style walk in closet. 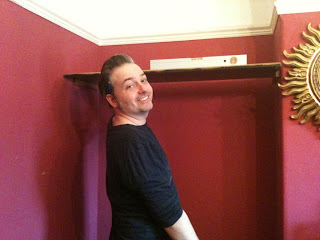 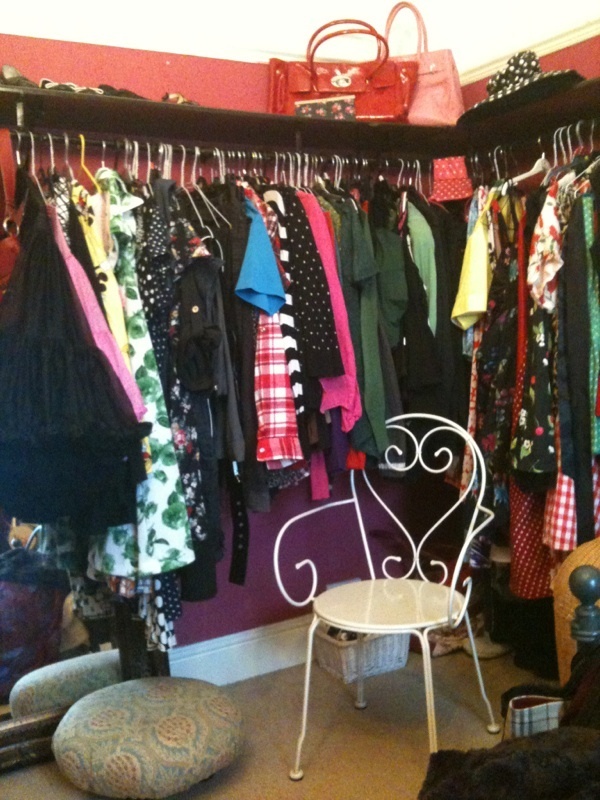 Unfortunately living in a mid Victorian terrace I'm unable to give up one room to my clothes and shoes but after years of struggling to fit all my clothes into one tiny wardrobe my lovely husband offered to make me an open plan wardrobe utilising the alcove and wall in our bed room. Although this wasn't planned as a step by step project (and the photos were taken on my phone so are fairly shonky) I thought i would share this as the whole thing cost only £2.50 which was for the brackets. For the shelves two old kitchen doors which we found at the local tip. 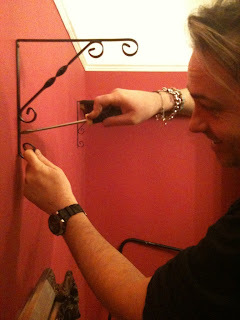 We sprayed these black with some paint we already had. 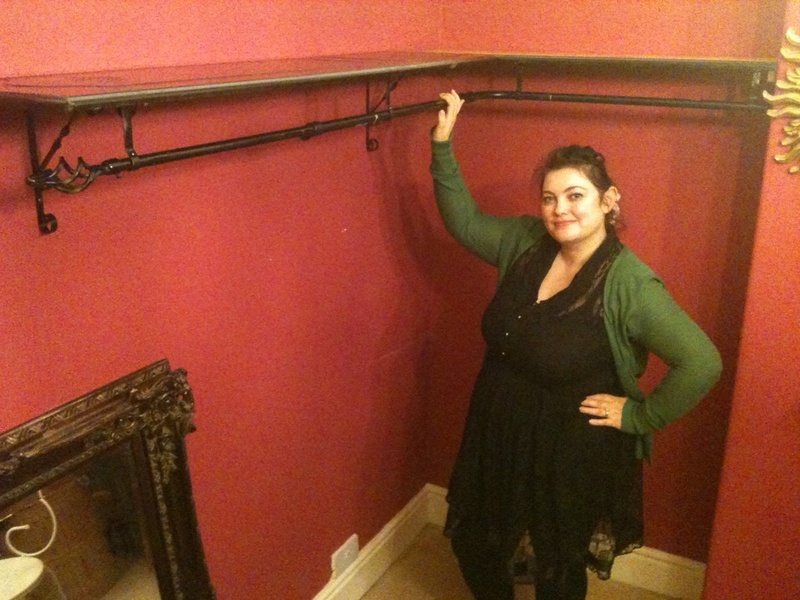 A standard clothes rail which had been in our loft for years. 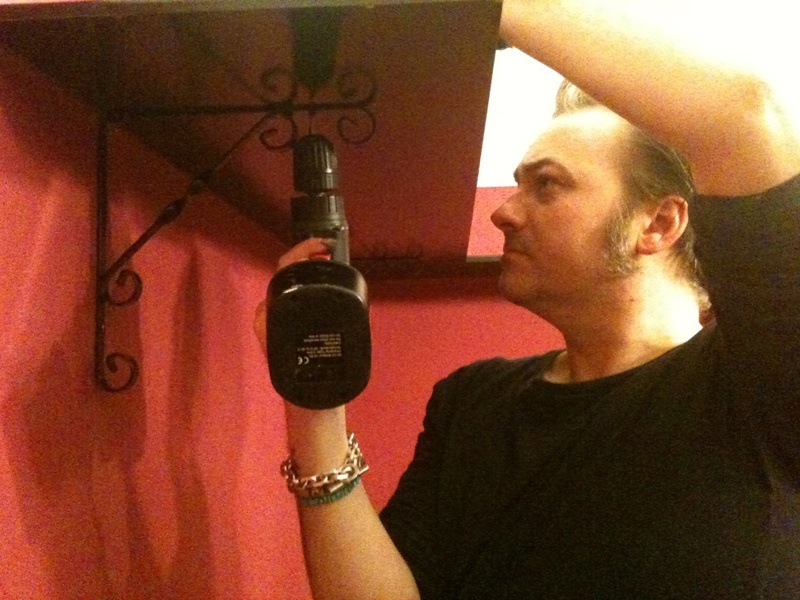 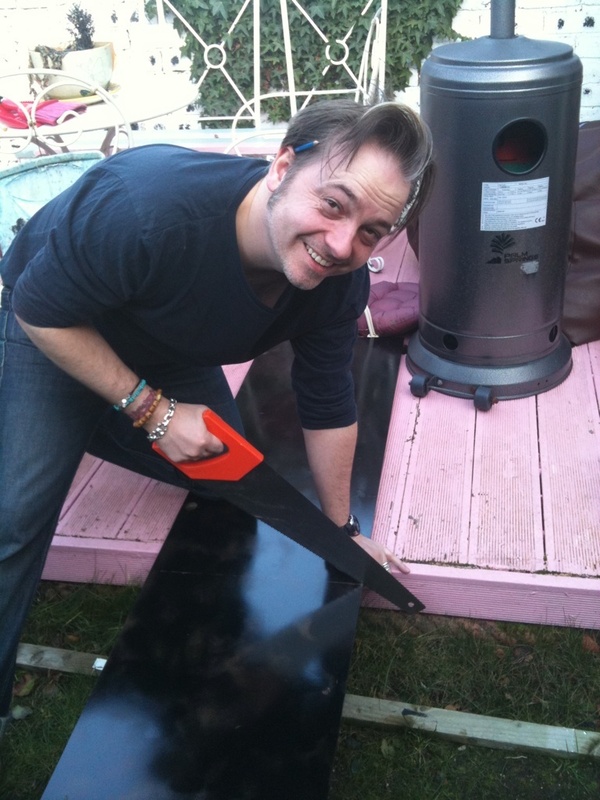 Nicky Rockets sprayed the kitchen doors black and then having first measured the space cut pieces to size. 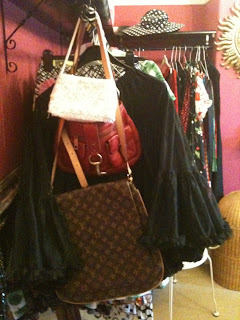 These are to go above my clothes rail to house my shoes and bags. 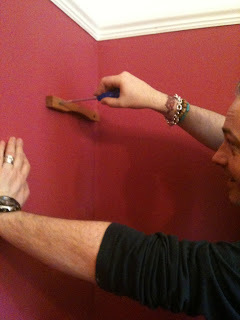 Wood from a broken laundry dryer which has been cut to size is screwed into the wall.This is to secure the shelf which will fit into the alcove. The shelf is then attached to these. For the shelf going along the wall we fixed the hanging basket brackets into the wall. 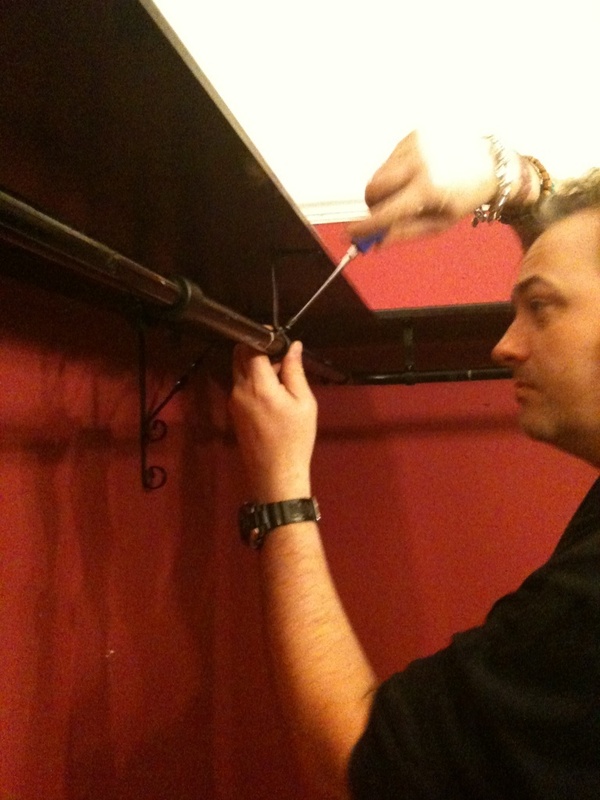 Fix the shelf onto the bracket. 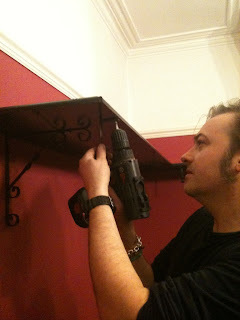 Attach the curtain rail brackets to the underside of the shelf and screw in. This will hold the clothes rail. 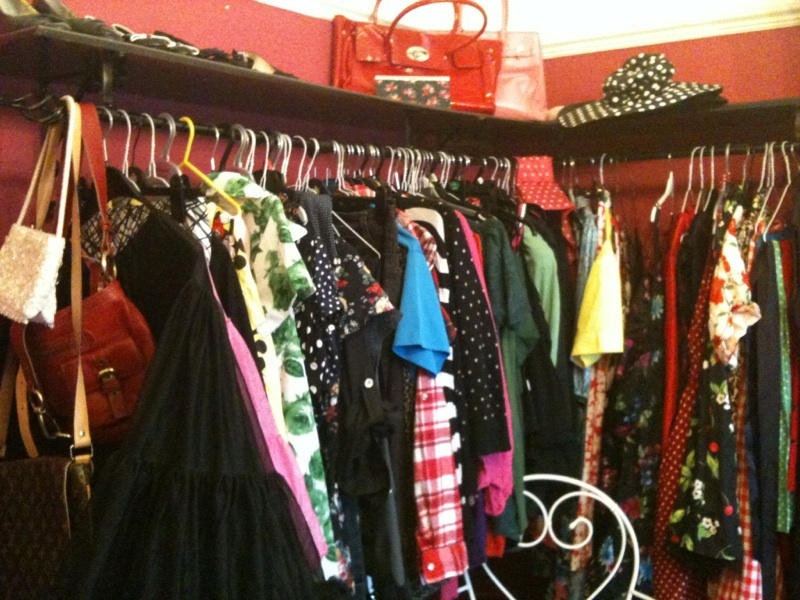 Your open plan closet is complete. 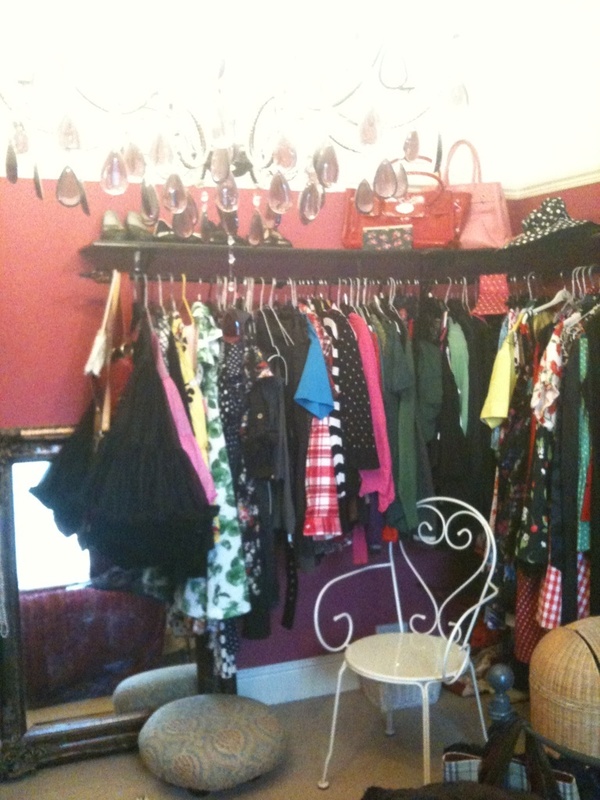 It can now be filled with all your clothes, shoes and hand bags.